What is your definition of a perfect smile? Straight teeth? White teeth? Natural-looking teeth? These elements all play a role in smile perfection, but your perfect smile is unique to you. 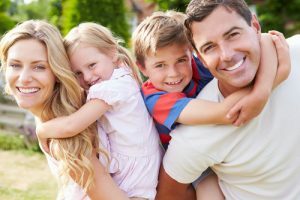 At Bedminster Family & Cosmetic Dentistry, the goal of Dr. Mike Mavrostomos is to create smiles that are attractive and healthy. He uses his expertise, gentle care, state-of-the art equipment, and innovative procedures to make perfect smiles come to life. Celebrities often set the standard for what is beautiful and desirable in modern culture. Teeth are no exception. One of the elements that makes celeb smiles so enviable is how natural they usually look. Though the quality of any smile enhanced by cosmetic dentistry depends on the artistry of the dentist who creates the smile. A well-done smile makeover will also give your confidence a boost. If you feel good about how you look, you will be motivated to improve your life, from job performance to romantic status to personal health and wellness. Need more convincing? You can see your perfect smile before it’s created with our sophisticated Smile Design capabilities. 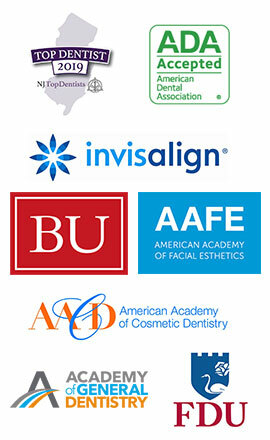 There are many transformative cosmetic dentistry procedures. All smile makeovers are created differently, however, and what’s right for you may be different than what works for another patient. Your consultation with Dr. Mavrostomos will determine what will work for your smile goals. The first thing that will be determined is how stable your oral health is. Your teeth and gums must be clean and healthy before a new smile can be built on top of it. Any signs of gum disease or decay will need to be treated first so your teeth are functional and strong, but once you’ve had your oral health repaired, it will be ready for a cosmetic overhaul. Porcelain veneers: One of the most versatile cosmetic dentistry treatments, porcelain veneers conceal multiple problems, including chips, gaps, misalignment, stains, and discoloration. Teeth whitening: Over-the-counter whitening treatments can’t compete with the powerful bleaching agents in professional whitening products. Invisalign: With nearly invisible aligners and patience, Invisalign wearers can discreetly create a straight, gorgeous smile while enjoying minimal restrictions. Dental bonding: A quick and non-invasive procedure, dental bonding can repair small aesthetic problems by repairing the color of teeth, covering gaps, and recontouring oddly shaped teeth. Dental implants: Missing teeth can lead to shifting teeth, facial collapse, and impact your ability to eat and chew comfortably. An implant replaces the absent tooth root and is completed with a prosthetic tooth that looks completely natural. Porcelain crowns: A tooth with a healthy root but a weak surface will benefit from the strength of a porcelain crown, which covers the tooth and is bonded permanently to it. Dental inlays: Inlays are used to replace unsightly silver fillings or repair a tooth by covering at least one of its cusps. This treatment often eliminates the need for a crown. Botox and Juvederm: Facial fillers minimize fine lines and wrinkles, plump skin, and make you look younger. Combine these enhancements with a new smile and you’ll like an incredible new version of yourself. Your smile will only be as good as the talent of the dentist you choose to do the work. Schedule your consultation with Dr. Mavrostomos at Bedminster Family & Cosmetic Dentistry to discuss your smile goals, preview your smile design, and find out what cosmetic dentistry procedures can create your perfect smile.